SMIDGE OF THIS: Tomato Pie ... Make This Recipe, Ya'll! 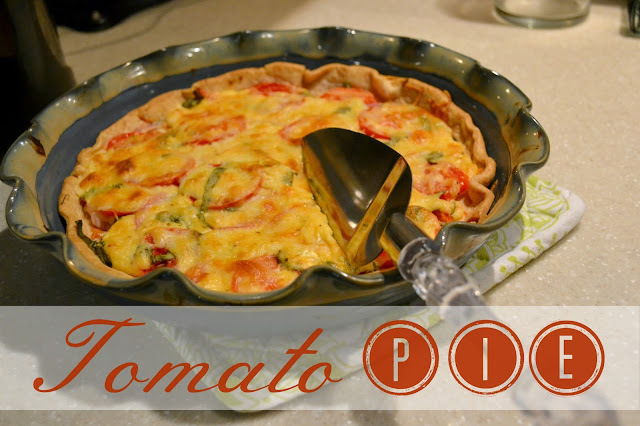 Tomato Pie ... Make This Recipe, Ya'll! Yesterday evening when I came home, I walked out onto the patio and came back inside with six red and very ripe tomatoes! This is the first year I've grown tomatoes (well, the first year I've done so seriously -- I was given a plant from a neighbor last year but I'm pretty sure the neglect I gave it resulted in the fact that it only produced a few teeny 'maters which never even ripened). I am now growing two kinds -- Early Girl and Marglobe heirlooms. I've got them together in a large pot on the patio, and they have gotten quite large and healthy! I guess the funny thing here is this: I don't like raw tomatoes. My husband can stand at the sink, slice one up, top with a little s&p, and go to town. I wish that was me! But with that said -- salsa, pico de gallo, tomato sauce, sundried tomatoes, ketchup ... all good in my book. And now I have found another love to add to that list -- tomato pie. I first had this a few summers ago when a girlfriend cooked it. I was pretty surprised how much I liked it being that the very name of it sounded like an odd combination ... but I believe you can add cheese, mayo, and basil to just about anything and make it yummy! We made this about two weeks ago and I'm happy to say it will be on our menu again tonight. Lay tomato slices on paper towels for about 30 minutes to help remove excess water. Pat dry. Mold pie shell into pie dish. Bake at 425 degrees for 10 minutes. Remove and let cool. Mix together mayonnaise, 2 cups cheese, hot sauce and salt and pepper to taste. 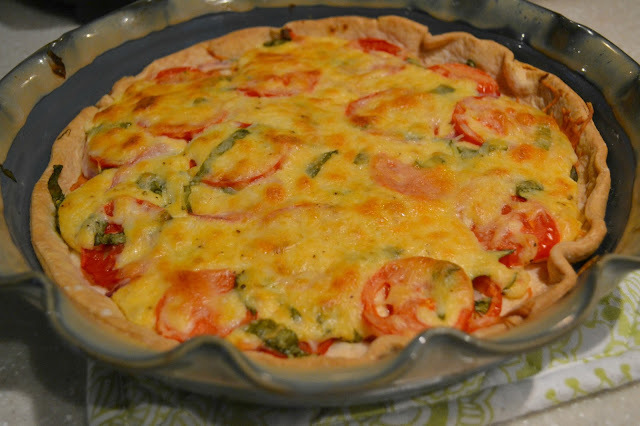 Start layering in the pie shell: onions, tomatoes, basil and 1/2 cheese mixture. Repeat layers one more time. You should end with the remaining cheese sauce on top. Sprinkle a little extra cheese over the top. Bake at 375 degrees about 30 minutes or until cheese is bubbly and slightly browned. The recipe I worked from called for white onions, but I had red at home and I ended up loving the slightly different taste that they provided. 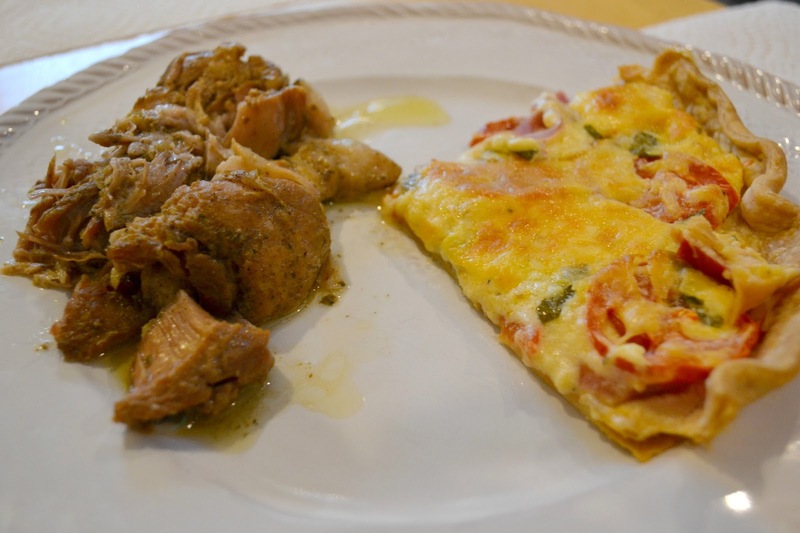 When I first made this, I served it with pulled pork that I made in the slowcooker. It was such a delicious combination! When I was younger, I declared to my mother: "I will eat ANY pie!" This one is certainly no exception. Have you ever had tomato pie? If you make it, how does this recipe compare to the one you use? I've made something similar to this and it's one of my favorite summertime treats! Next time try adding some fresh corn - you won't believe how delicious the combo is! I've never made tomato pie, but that looks delicious! I think that I'll have to try this out. This looks so great, I will have to try it. My tomato plants are huge this year so I have been looking for new tomato recipes. It's always fun to eat what you grow! 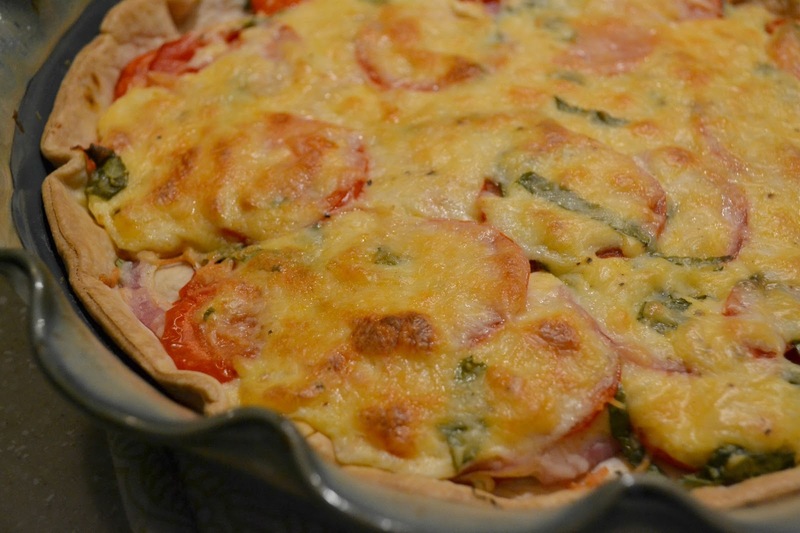 I have never heard of a tomato pie recipe, but this looks delicious! I literally just wrote a post about tomatoes and how I don't like them plain :) I'll have to try this recipe out, too! Wow! That looks really good! Great way to use all those tomatoes my dad insists on giving me from his garden. Otherwise, what am I ever going to do with 75 tomatoes a week? LOVE tomatoe pie! Being a Yankee who now lives in the South, it has become one of me faves. Well that and fried pickles! There's nothing I love more than tomato pie and this looks to die for!! This looks great, I've been wanting to try it ever since I saw it on Natalie's blog. Yum! This looks sooooo delicious! I've been craving tomatoes since we left Italy; I'll have to make this for sure! I love love love tomato pie! Time to make some because I am craving it now! YUM! i'm the same way about raw tomatoes, and i want to like them SO bad - every now and then i'll force myself to eat one raw, only to discover that "nope...still don't like 'em!" I never thought about adding Tabasco to my tomato pie! Sounds yummy! I am weird about tomatoes, too...love them, but not their seeds. 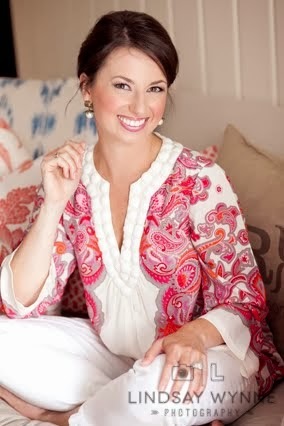 Five On Friday: Link Up With Us! 5 On Friday Link Up! 4th Of July: Simple Sangria!